On April 15, 2004, AirSculpture played on Galactic Travels (under its original name). 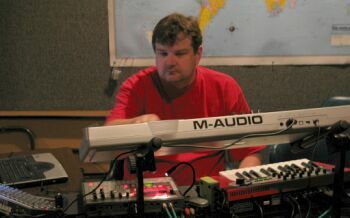 Synthesists John Christian, Pete Ruczynski, and Adrian Beasley from Reading, UK, are the members of AirSculpture. 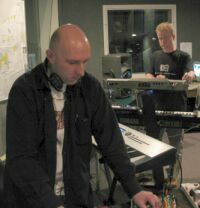 They met while at university, where they discovered their common interest in electronic music. Years later, John and Adrian began jamming together. 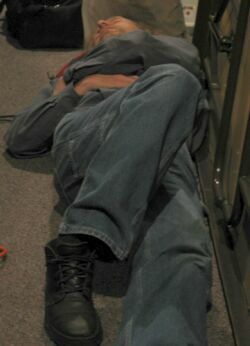 Pete joined the mix and AirSculpture was complete. 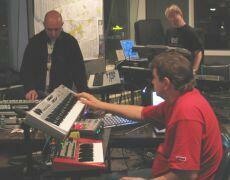 AirSculpture play live, improvised electronic music in the mid '70s style of Tangerine Dream. All aspects of the music are performed live with no preparation except occaisionally for some sequences which are often built live on stage. 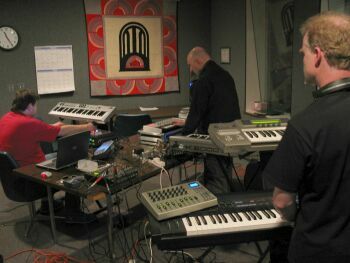 For the purposes of their mini-US tour of 2004, all three musicians were using mostly softsynths and other software residing on notebook computers, aided by some hardaware synths and control surfaces that could safely be tucked into luggage. Other gear was borrowed from locals to make life easier. AirSculpture went on to play at the Gatherings Concert Series and on Star's End. Full length albums released by AirSculpture on Neu Harmony.